CAPE TOWN (Reuters) - South Africa will inject 20 billion rand ($1.82 billion) cash into struggling power utility Eskom, and may also convert its existing 60 billion rand subordinated loan to equity, the National Treasury said on Wednesday. The moves highlight the gravity of the situation facing Eskom, which provides virtually all of the power to Africa's most advanced economy but has massive funding issues as its costs are running way ahead of its revenues. Finance Minister Nhlanhla Nene, who tabled the Treasury's three-year economic outlook in parliament, also said that no new financial guarantees will be given to Eskom as South Africa moves to stabilize its debt load. "Government will closely monitor Eskom’s financial position and, if necessary, could consider providing additional support to the utility by converting its existing subordinated loan to equity," Treasury said. The 20 billion rand injection will be raised through the sale of non-strategic state assets, such as property, direct and indirect shareholding in listed firms and surplus cash balances in public entities, the Treasury said. No further details were provided. The ruling African National Congress is deeply divided over privatisation and the state's role in the economy in general and protracted discussions may be needed to implement such a policy. "Over the next two years capital injections for Eskom and funding for other state-owned companies will be raised in a way that has no effect on the budget deficit," the Treasury said. 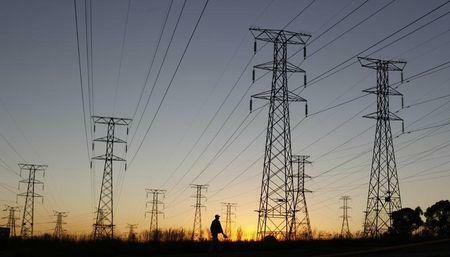 Last month Treasury approved a financial package to the utility which includes the company raising 50 billion rand in additional debt, over and above its original plan of 200 billion rand, as it struggles to finance an ambitious new generation program designed to overcome power shortages that have crimped economic growth. Because of the impact on growth and on key sectors such as mining, the government is keen that Eskom bridge its funding gap, estimated at around 225 billion rand over the next four to five years, without raising its rates too high. The energy regulator recently approved a tariff hike which will help fund the building of new and expensive coal-fired power plants. Labour strikes and shoddy workmanship have delayed the commissioning of the new power plants, although the first of six units at the new Medupi plant will link up to the grid in December. In March, the utility was forced to impose rolling blackouts for the first time in six years to prevent the national grid from collapsing, a situation that underscored just how precarious the balance is between power supply and demand.